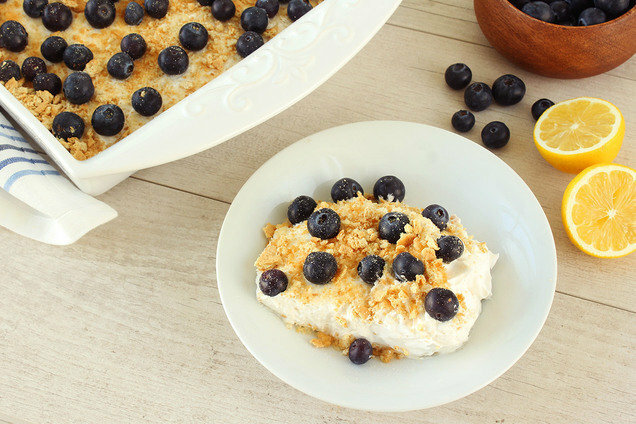 In a large bowl, combine all ingredients except blueberries and graham crackers. Mix until smooth and uniform. Transfer to an 8" X 8” baking pan, and smooth out the surface. Top with blueberries. Cover and refrigerate until chilled, at least 1 hour. Hungry for More Healthy No-Bake Desserts? Send this sweet recipe to your favorite humans... Click "Send to a Friend" now!